I don't know why black lights make everything cooler, but they do. 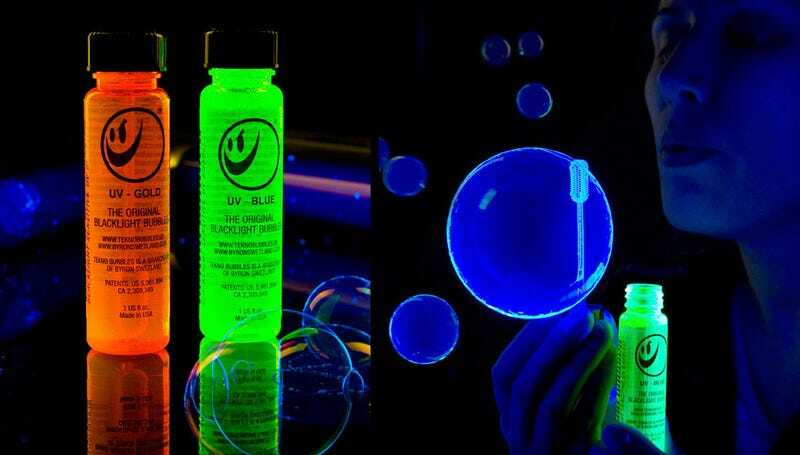 And if your ten-year-old has been asking for a rave-themed birthday party, these Tekno Black Light Bubbles are the perfect favor. You know, instead of psychedelic drugs and alcohol.